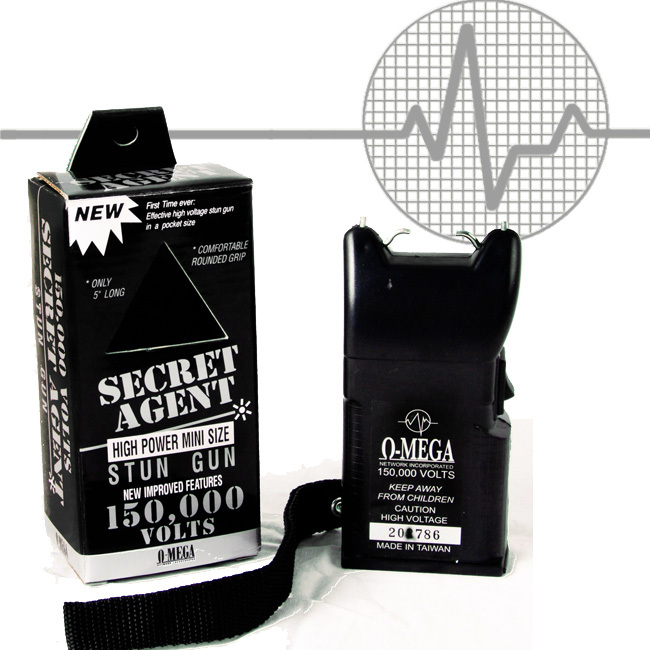 This Stun Gun is used widely by FORTUNE 500 power companies and animal control shelters. Light weight and powerful. 19"; 23" with wrist band. Compliant with Canadian Law that requires Stun Devices to measure 480mm. 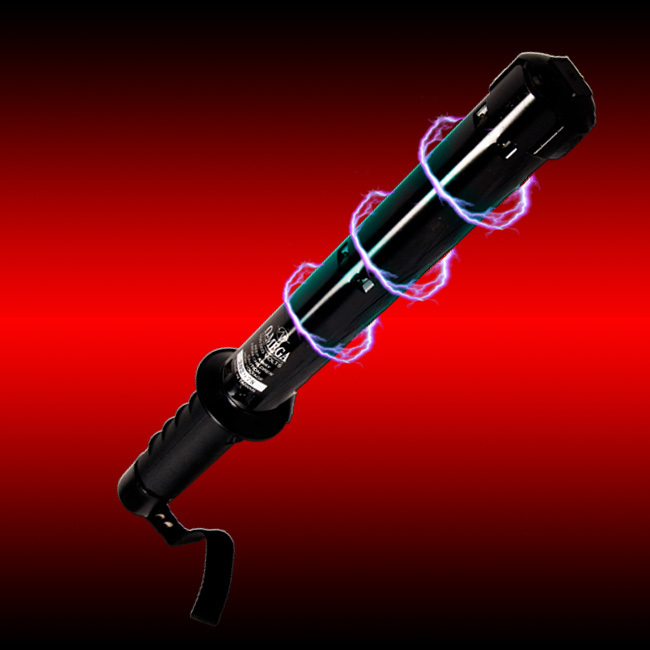 UPPER HALF OF SUPER BATON IS ELECTRIFIED. 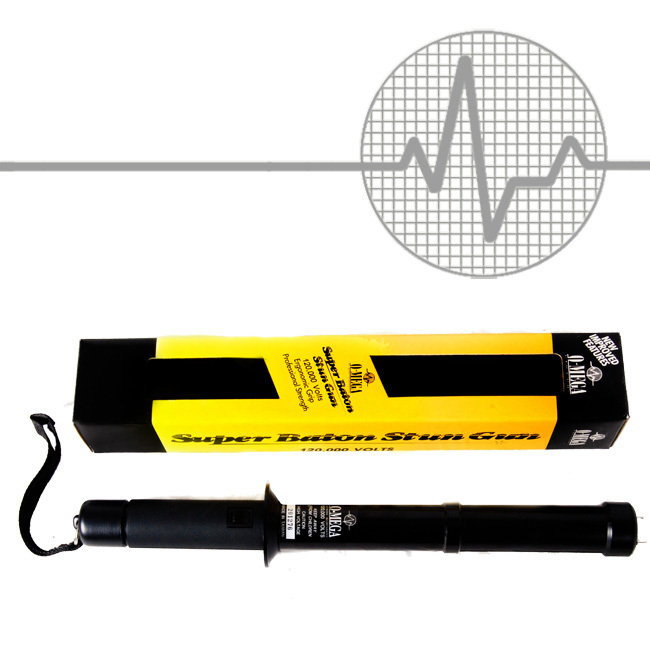 Used by electric companies to guard against dog attacks. 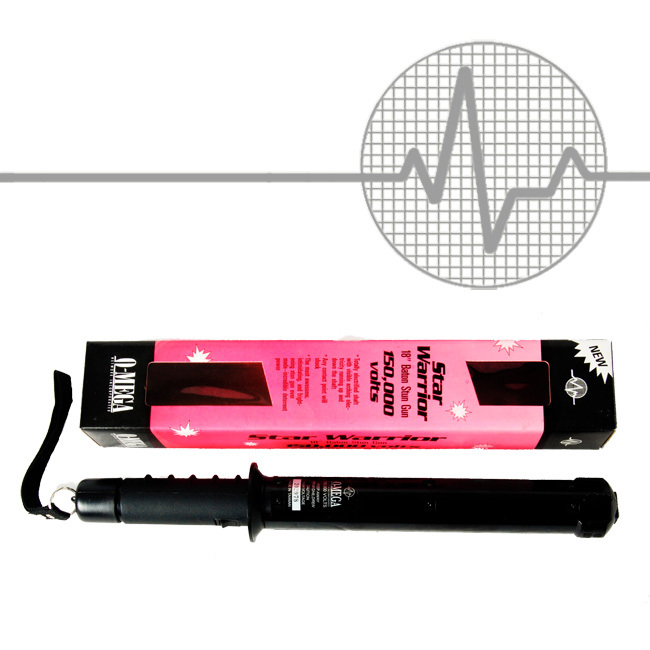 Click here for a Super Baton demonstration video.